We believe Nifty will hold the trend line and undergo base formation in coming weeks. 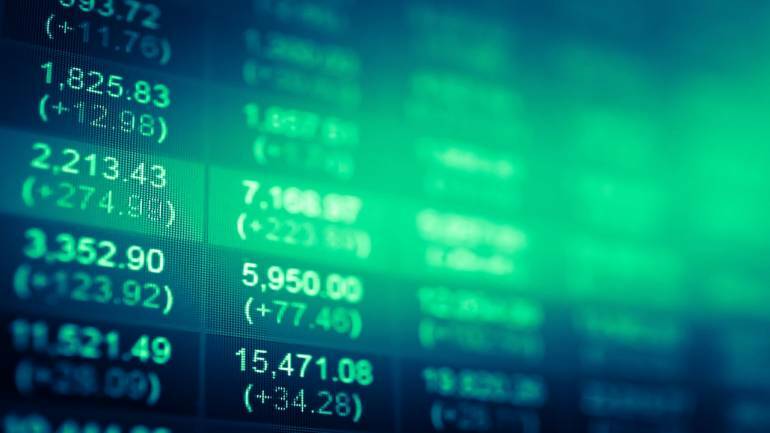 Investors should utilise the current decline to accumulate quality stocks in a staggered manner, says Dharmesh Shah of ICICI Direct.com Research. The Nifty50 formed a Doji-like candle on Thursday which signals indecisiveness among bulls and bears. However, the demand emerged at major support areas of 10,100. We expect the index to undergo a base formation with positive bias amid elevated volatility in the broad range of 10,100-10,450 in the coming weeks. Historically, within a structural uptrend, secondary corrections of 12-15% are considered normal bull market corrections that provide long-term buying opportunities. Time-wise, since the beginning of CY18, each directional leg in the Nifty has lasted for seven to eight weeks. In the present scenario, the index has maintained the rhythm by correcting for a seven successive week. As we are in the eighth week, with 14 percent correction over the past seven weeks already behind us, we expect the index to maintain its rhythm and the ongoing corrective decline to mature as we approach price/time wise maturity. The immediate hurdle for the index is placed around 10,450-levels — being the confluence of the current week high and the bearish gap area of last Friday. The Nifty50 is placed at its long-term trend line support amid oversold readings of momentum oscillator (around 10). We believe the index will hold the trend line and undergo base formation in coming weeks. Thus, investors should utilise the current decline to accumulate quality stocks in a staggered manner. The stock has been consolidating in the broad range of Rs 330-240 in the last 11 months. The recent corrective decline in the last two months from the higher band of the consolidation range has led the stock to almost test the lower band of the range, thus providing a fresh entry opportunity with a favourable risk/reward set up. The share price of State Bank of India has seen a strong uptrend during March 2016 to October 2017 as it rallied from Rs 149 to Rs 351 levels. During the entire up move since March 2016, the stock has been taking support at the rising trend line currently around Rs 255, which also coincides with the 50 percent retracement of the previous major up move (Rs 149 to Rs 351), thus making it a crucial support for the short-term. We believe the recent corrective decline has achieved maturity and is likely to resume fresh up move and test levels of Rs 298 in coming months as it is the 61.8 percent retracement of the entire recent decline (Rs 326 to Rs 253) placed at Rs 298 levels. The stock after a strong up move during CY16-17 from Rs 202 to Rs 755 levels, has entered a corrective consolidation in the last nine months which has helped it to work off the overbought conditions on momentum oscillator and created an attractive entry opportunity. c) The trend line support joining the low of May 2017 (Rs 408) and July 2018 (Rs 493) placed around Rs 530 levels. The stock has already taken nine months to retrace less than 80 percent of the previous nine months up move from Rs 408 to Rs 755. A slower retracement of the last falling segment signals strength and positive price structure. Based on the above technical observation we expect the stock to head higher from hereon towards Rs 625 levels in the medium term as it is the 80 percent retracement of the current corrective decline (Rs 647-535) placed at Rs 625. Disclaimer: The author is Head Technical at ICICI Direct.com Research. The views and investment tips expressed by investment expert on moneycontrol.com are his own and not that of the website or its management. Moneycontrol.com advises users to check with certified experts before taking any investment decisions.